I'm not overly familiar with the Estonian brand Joik but I decided to give them a try out of curiosity. Over the past year tinted creams have become part of my routine so I chose the BB cream as it felt like a good place to start. I'm pleased to say that the Joik BB cream is suitable for vegans and does not contain essential oil allergens. BB creams were a big trend a few years back but if you managed to miss the fuss you might not know what a BB cream does. They are a multipurpose product which provide a base for makeup (like a primer), can even out complexion by brightening and cover minor imperfections and redness. Some BB creams may contain SPF and promise anti-ageing and soothing properties. My previous experience of similar products has been Madara Tinting Fluid (I wore on my wedding day) and Yes To Grapefruit CC cream (I have a love/hate relationship with). The Joik BB cream feels lighter on my skin in comparison to Madara and Yes To. It sinks in very quickly and doesn't feel like I'm wearing any product. It doesn't cling to dry patches but I do use a moisturiser beforehand; my skin is too dry with the colder weather. I also like that the Joik BB cream has no fragrance and remains neutral in scent which is a blessing after Yes To which smells like plastic grapefruits. The "light" colour is a perfect match for my complexion as often I can find tinted products too orange for my skin tone ("medium" colour is also available). It will even out my complexion by reducing redness but it's not going to completely hide a pimple, you'll need additional products for that. 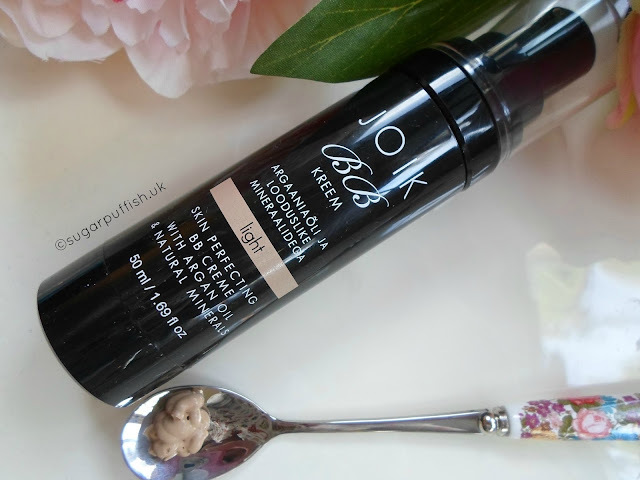 I am really happy with this Joik Moisturizing and illuminating BB cream and would purchase again when this tube runs out. If you would like to try this product for yourself it can be purchased from Love Lula. Have you tried any products from JOIK? I really, really love JOIK. I once had this product in medium shade, back when they came in different bottles. Have to give the new one a try I think and this time choose the lighter shade. I found the medium a bit too dark. Darker than medium shades in general.